April 28, 2014 stands out in the memory of the residents of northern Mississippi as a violent F4 Tornado left a wake of major damage, killing 10 people and injuring over 80. The team at Security Solutions and Communications, Inc. in Starkville, MS were ready to react as the day’s tragedy unfolded. Using NetConnect’s Watch Scroll they were able to watch the path of the tornado. Then used the information to contact their customers in the path of the storm and alert first responders as to where help was needed: all in real time. Tornadoes are one of nature’s most vicious disasters. They are born at the edge of strong thunderstorms and can destroy communities in seconds leaving behind 50 mile long trails of destruction. There is little warning for tornadoes. Despite all their efforts and research it is still only possible to see the potential for tornado conducive conditions using the most sophisticated Doppler Radars. Meteorologist use the data collected from radar to send out tornado watches which typically cover 25,000 square miles. Warnings are only issued after strong low level rotation is reported by radar or someone reports actual eyes-on a funnel cloud. Communities activate sirens quickly and issue alerts to the affected area, but time is short as these storms move very quickly. These storms as very unpredictable once they hit the ground and can leave emergency response teams scrambling to know where they are needed first in the aftermath. When the storm has passed and the damaged assessed security companies often find themselves inundated with phone calls. Their customers are in need of batteries to power systems where the electricity is out. Damage to buildings and homes have left systems inadequate or unnecessary as the reconstruction begins. Security Professionals answers calls as they come and actively reach out to their customers who were in the reported track of the storm. In the past they have little choice but to react to the devastation. SentryNet launched NetConnect in 2001 to its dealers. Originally it was to be a dealer portal allowing access to customer information 24/7. Through user input it has become a tool that independent security installers have come to depend on to run their office. The “Watch Scroll” allows the user to watch in real time any activity coming into the central station from their accounts. This permits them to immediately know what is happening with their customers and respond sometimes even before the customer is aware of an issue. Everyone knew the tornadoes were coming through that day and the Security Solutions Team were watching their Watch Scroll. They knew from experience with other environmental events that the smoke detectors would short and go into alarm when water reached them. When the Watch Scroll began to fill with fire alarms Bart Williams and his team knew their customers had been affected. They began to react immediately to the need. The calls of the central stations and the team were some of the first calls received by home/business owners and first responders. SNapp, SentryNet’s mobile device app, was released in 2011. Originally just a way to check the status of your system, this too has also evolved into a tool that many security professionals and their customers depend on. During the E4 tornadoes on April 28, 2014 the team at Security Solutions and Communications, Inc. was ready with the Watch Scroll so they could see where they were needed. Over the years Bart Williams, owner of the company, had come to realize that when smoke detectors get wet, they go audible and send signals to the central station. His team knew to be looking for these fire alarms so they could assist as needed. During the storm this was indeed the case. Bart reports that the call from the central station operator was often the first call received by the first responders on the need for help. Tracie Cunningham, Office Manager, and her team also went to work making calls to check on their customers. They spoke to one whom told them “my house was just blown away” and another whom was trapped in her home. Between the Central Station Operator dispatches and the follow up calls by the Security Solutions Team First Responders knew where help was needed immediately and thereby able to save lives. Following the storm instead of having to wait on the phone calls, Bart Williams and his team already knew where help was needed. They hit the road with water, extra batteries and equipment to assist their customers and those in the community that he has served for 22 years. The scene he was greeted with was one no one will soon forget as the storm spared little in its destructive path. He and his team did what they could to assist in the aftermath as home and business owners assessed the damage. Two years later Bart and Tracie each proudly announce that every customer that had damage has rebuilt and have continued their service with them and many of their neighbors have signed on for service because of their efforts during and after the storm. 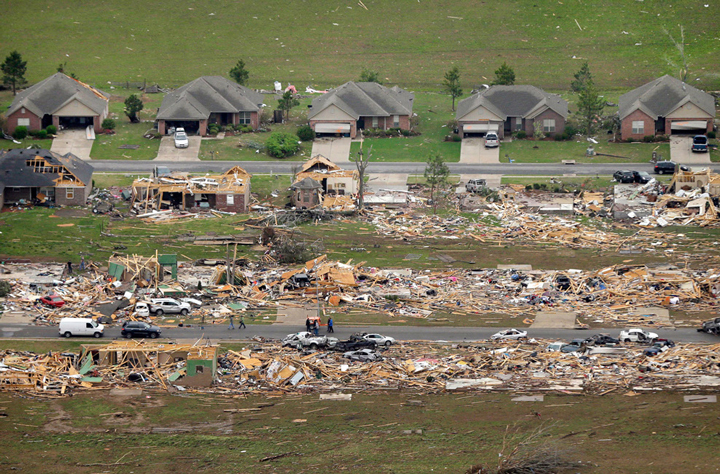 10 lives were lost during the destruction that occurred in northern Mississippi on April 28, 2014. There were 80 people injured, millions of dollars in damage and lives changed. While we still can’t predict tornadoes or their path, we have found a way to better react as they are happening. Security Solutions and Communications proved that by using the free tools provided by SentryNet you can: see what is happening with your customers, send help where needed, and aid in the aftermath of the storm. These real-time actions create customer loyalty and build a reputation for your company as one that looks after the community in which it operates. Looking to the future SentryNet has introduced “Notifications” as a part of SNapp. This will allow the security company to send out notices to their SNapp user(s) to their mobile device. These notices are great ways to advertise new services or more importantly alert the user of something going on at their premise including the real threat of an F4 tornado. As Tracie said, “It is much harder to get a new customer than keep an existing one” and this simple service can create customer loyalty as they know you are looking out for them in all situations. SentryNet knows its success is dependent upon the success of independent dealers like Security Solutions and Communications and will continue to find new ways to assist them as they assist their end-users. 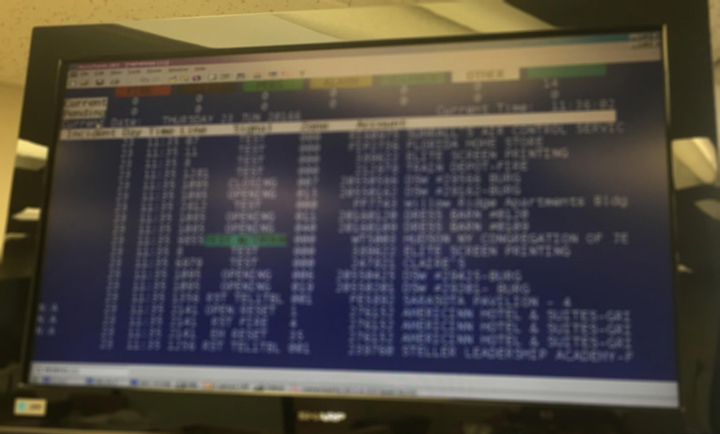 For nearly 30 years, SentryNet has been a leader in wholesale central station monitoring services offering customized solutions to independent alarm dealers with a personalized approach. With two UL/FM certified, hot redundant stations in Florida and Tennessee, SentryNet provides monitoring and services to more than 120,000 users and 700 independent alarm dealers across the United States and Canada. With an emphasis on long term dealer investment, SentryNet utilizes best in class technology and value-added programs to suit all phases of a dealer’s businesses life cycle.